Ten Thousand Trees: Baobab tree with leaves! 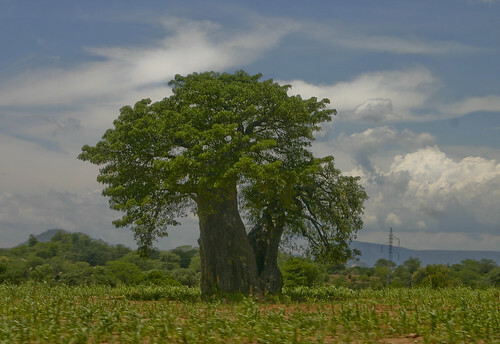 Bayobab tree, Adansonia digitata, originally uploaded by brian.gratwicke. It is not very often that you see a Baobab tree picture with leaves on the tree. As far as I know Baobab trees only have leaves during a short rainy season. During this time the trees soak up water that they store in their swolen trunks. When the long dry season returns the trees drop their leaves.